My children always laugh at me when they hear me on the phone speaking to a South African. My accent changes, instantly, from flat North American to the clipped twang I picked up in the two years I lived in South Africa in the early 1990s. Instead of saying "uh-huh" and "okay" I switch to "yahs" and "yiss-es." "No way" becomes "ag (pronounced with a little flem on the 'g') shame." "How sweet" = "ag shame," "That's too bad" = "ag shame." If you haven't guessed, "ag shame" serves as a suitable response to just about anything. It's not that when I speak to South Africans I choose to change my accent. In fact, I don't think I change my accent per se, I just shift my vocabulary and speech cadence. This is a skill I had to learn when I lived and worked in England and then in South Africa and my husband, likewise, had to do when he came to Canada. Adopting the rhythm and vocabulary of the people you work and live with isn't an affectation, it's a matter of maintaining clear communication. Consider my early experiences working in England as a temporary secretary. My first assignment was to man the switchboard at a law office near the magistrate's (criminal) court (I think, the details are hazy as I was only there for one day). After numerous snarl ups attempting to decipher a caller's name through thick east-end accents of the firm's clientelle I lit on a plan. Instead of asking subsequent callers to repeat their name, over and over and over again, I would ask the caller to spell their name. Brilliant! The next caller's exasperation practically turned my handset to lead as he dutifully spelled his name for me - S-M-I-T-H.
Or in my next job (that lasted months, not days) the very gorgeous, very hunky new Aussie exec who approached me on his second day and, with utter sincerity, asked if I might provide him with a rubber. Gulp. Or, when booking a flight to Australia for my boss (no, sadly not the eraser-deficient hunk) I was reciting the ticket number to the agent and said, "oh-eight-four-six-Q-W-slash-two-three-four," and was met with utter silence. The agent said, "What did you say?" So I repeated it, and in a very stiff voice she told me I probably meant to say "dash." Okay. Whatever. It took a quick consult with the Kiwi in the next cubicle to figure out that "slash" is not a polite word in England, its meaning less to do with a keystroke on a computer and more to do with bodily functions. Oops. Renee Zellweger was wonderful in Bridget Jones's Diary because she didn't just put on an English accent, she nailed the character. She got the mannerisms, the hefty pauses, and the London slang. You see, even though we share a mother tongue with English speakers in other places doesn't mean we share the same nuances. Accent is about more than simple tomaaatos and tomahtos. So, you can see that adopting a new way of speaking, a new vocab and new intonation when in a new culture, can not only be important, it can be essential. Our regional version of English is uniquely flavoured by our area's history, other linguitic influences (i.e. eh? from the French and noo doowbt aboowt it from the Scots who settled much of Canada), and well, lots of stuff. 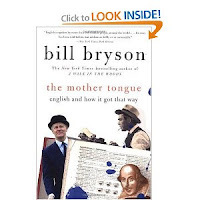 (For a slightly more thorough treatment of the subject I highly recommend Bill Bryson's The Mother Tongue.) In South Africa, the English language is a hybrid of Oxbridge weighted English flavoured with Afrikaans (a Dutch derivative). The vocabulary is, in some regions, almost creole-like, so strong is the influence of Afrikanns and indiginous languages. Just last week I could feel my tongue sliding around words like braaivleis and Vereeniging and Hluhluwe without difficulty while our family visited friends and relatives in South Africa. "Howzit?" filled in for "how'reyou?" and "Your welcome" was replaced by "It's a pleasure." My vowels were softer and my consonents harder and then, as we flew home, the whole families' speech shifted and changed until we were speaking Calgarian English before we reached the luggage carousel. South Africa isn't the only place I slip into a different language, however. Like most Christians I speak Christianeese. There are different dialects within Christianity, but for the most part I'm talking specifically about evangelicaleese. The most amusing aspect of this particular form of English is the Canadian preacher who slips into a deep-South accent to lay on the Word of Gawd. Cracks me up every time. There isn't a problem, really, with Christians developing a lingo around our culture. It's not something unique to the Church. Industries also do this all the time, or particular workplaces. The creation of a unique lingo provides shortcuts within a closed culture. Which can be functional for insiders, but disasterous when the business needs to grow or change or incorporate newcomers, something I see all the time in my work as a business consultant. And if jargon can be a problem for business, what does it do for the Church? Paul, in Galations, asserts that he is neither Greek nor Jew, slave nor free, male nor female. He is encouraging the Galation church to set aside destructive divisions and to be "one in Christ." You see, the Galations were hung up on their identity by their group, something I think we, as Christians all too often do. We find our identity in our churchiness, not Christ. And our churchiness is so often expressed by how we speak when we are with other Christians and also in how we express our faith to those who are not Christians. Whenever I read this passage, I think of Paul being a Jew for the Jews and then getting on a boat and maybe, just maybe, changing the way he speaks so that he can assert his Roman credentials to the Romans. For him, the accent didn't matter. Christ did. This week, as you go about your daily life, think about the language you use and the dialects you adopt as you move from home to church to workplace. 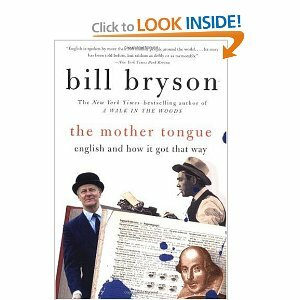 Do you, like me with my pseudo-South African accent, move from place to place, adjusting your speech so you are better able to communicate with others? Do you change not only what you say and how you say it, but how you listen to and interpret what others say to you? Don't be shy, share your thoughts on Christianeese, English dialects or anectdotes on same. Not so much word choice, but 'accent', I find the idea of regionalism just within a state or larger area fascinating. Consider just the NE U.S. At least 3-4 regional 'markings' in the state of NY. Then there's at least 3 regional accents in PA. Add in NJ, then the New England-speak. That's just 'accent's! I loved your examples and they remind me of the very interesting addresses you've had! Hope this wasn't too forward. I just wish some Christians would think about how they come across to others. It's so good to be back to "see" you on the blog. So true that there are also distinct regional differences even in geographically small areas. Reminds me again that our differences can be wonderful if we celebrate them and not let them divide us -- in the world in general and in the church. Thanks so much for stopping by and for commenting, and I don't think you're too forward at all -- just honest. For years I was involved in running a community Alpha course and it was a steep learning curve for us all to be conscious of our Christian slang and to leave it at the doorstep so we could reach out to others with the message of Christ's redeeming love. And more, to take off our Christian ear muffs so we could really hear what our guests were saying without judging them or misinterpreting them. I don't think Christians are consciously being exclusive, but like native speakers in their own environment, we are so often unaware of our own "accent." And I agree on another point. God rocks! When we were missionaries in the Seychelles, I remember at one point talking about the Queen of England, and I donned an English accent. Either I didn't do it very well or they couldn't tell that it was any different than my normal funny accent, cause they totally didn't get the joke. Nice to see you and your post this am. :) Closer to home here in the States I remember when my hubby and I took jobs here in Cincy after spending years in college and grad school in West Virginia. My husband was born in W. Va. and I had a mix of Pittsburgh with my West Virginia accent at that time. When we both got jobs in social work on different units of the same hospital you'd think we were from a foreign country the way everyone looked at us when we spoke. Same language, way different accents. People would actually come up to us and say "talk." If I could speak with any accent in the world, I'd love to have that down under Australian voice. Oh girl! I have bee na Texan for 4 years, but you'd think I've been here all my life by the way I talk! I'm so envious of you--living in the Seychelles. I'd love to visit there someday. Let's say the lack of response was due to their lack of understanding about the Queen and not your failed accent. She is just too easy to imitate and I'm sure you were wonderful! I'm also a sucker for a southern accent so would probably have been on of those willing to listen to you read your grocery list. Do you find your exposure to different accents helps you deal with voice in your writing? Thanks for stopping by. I laughed when I read your comment. If one puts on an English accent like a protective jacket, one catches a Texan drawl like a cold. It's just too infectious, I think. My brother-in-law came back from three years with YWAM in Tyler, Texas speaking like he'd been born there. And funny, he still prays in Texan. As a lifelong Coloradan, we have no accent at all. We sound like the people on TV. It's rather dull, really. If I had my druthers, I'd adopt a think British accent. Then I could use all those 25 cent words without sounding like a nerd. Thanks for the post today, Wenda, you made me laugh! That's another thing I brought with me from W. Va. Hey, Hey there, Hi ya'll, etc. You asked:Do you find your exposure to different accents helps you deal with voice in your writing? I don't know. I've never thought about it much, but I guess anything that we're exposed to from other cultures makes us more aware. Au contraire. As a Canadian who grew up in SE British Columbia closer to Spokane Washington than any Canadian city I also thought we were accentless, until I moved to Saskatchewan. Ever see the movie Fargo? Yeah. I do agree that the British get away with a much broader vocabulary than us colonials. We should do a blog one day where we all write in Queen's English. That could be rather fun, don't you agree? Thanks for stopping in and posting a comment! I think NY accents are so much fun. I once had to call a business in NY for something and just about fell off my chair when the guy on the other actually spoke like they do on TV. Like, for real. Tickled me pink. Obviously, I need to get out more. The y'all thing just blew me away at my first RWA Nationals. I'd never actually heard people say it when it wasn't part of a TV script or depicting hillbillies in a novel. Once I got over my, "Wow, real people really do say y'all, all the time" shock I found it really charming. You can y'all me anytime you like. Great comments today. I didn't know Bex was a Texan! See how we pull these tidbits from our blog friends? Hey Jill, Cincy has their share of Kentuckians but don't ask me to recognize the difference from KY to WV! ** Tabitha! thanks for commenting. You do make a great point about Christianese--definitely a language all its own. As you can see, I think Australian would be a lot of people's favorite 'accent' to adopt. Hey Wenda, I like your explanation for my flat joke way better. Let's roll with that, shall we? BTW, it's great to have you back 'round the Inkwell. Hey Wenda, I know what you mean about switching back when talking to someone with an accent. I automatically answer 'wae' if someone with a french accent speaks to me. It's a throwback from the 5 yrs I worked in Ottawa and while living near the Ontario/Quebec border. When I first arrived, I answered 'oui' which is correct for 'yes'. However, a couple of my subordinates answered 'wae' to everything, and I picked up on their slang. It sounds like 'way' but it's said fast and clipped. I like the look of surprise which is the usual result when I use it on a francophone out here in the west. Heh. When I was in college in Oklahoma, I picked up a number of Southern accents and could differeniate between their nuances. I also noticed (just being honest here) that when I wanted to sound friendly, like babysitting or waitressing, I would slip into my Southern accent. But when I wanted to sound professional or intelligent, like in class, my speech would be very crisp and Midwestern. I wrote a paper while there on stereotypes associated with dialects. Sounds like an interesting paper with some real life experience to back it up. This has been a great conversation. I forget, living in the big bland north what interesting regional variations there are south of 49. One of my favorite US regional accents at moment is Emma on Glee. I love that the character has a real mid-west accent, not just TV nowhere. What a fun post and discussion, Wenda. You made me laugh, and the hunky Australian asking you for a rubber reminded me of a Scottish friend telling my husband to keep his pecker up. Umm, okay. Something didn't translate well. When we lived in Pittsburgh PA, people said "y'unz" instead of "you guys" or "y'all." LOL. I can imagine your hubby's facial expression. Y'unz. Will have to remember that one.